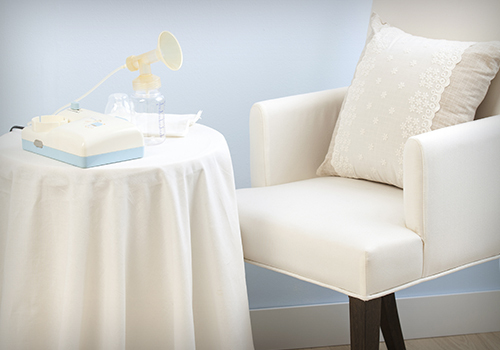 On March 18, 2019, New York City employers will be required to make lactation rooms available to employees upon request, as well as to create a lactation policy to be distributed to all employees. The New York City Council passed two laws (Int. No. 879-A and Int. No. 905-A), dubbed the “Mother’s Day bills,” which require any New York City employer with four (4) or more employees to provide the below-described lactation room and lactation policy. The bills became law when returned by Mayer Bill de Blasio, neither signed nor vetoed. Int. No. 879-A requires employers to provide lactation rooms, as well as refrigerators, in reasonable proximity to work areas for the purpose of expressing and storing breast milk. The law defines a “lactation room” as a sanitary place, other than a restroom, that can be used to express breast milk, shielded from view and free from intrusion. In order to be in compliance with the law, employers must also ensure that any lactation room has an electrical outlet, a chair, a surface on which to place a breast pump or other personal items, and nearby access to running water. If the designated lactation room is used for another purpose, the sole function of the room shall be as a lactation room while an employee is using the room to express breast milk. When an employee is using the room to express milk, the employer shall provide notice to other employees that the room is given preference for use as a lactation room. If providing a lactation room as required by the new law poses an undue hardship on an employer, the employer must engage in a cooperative dialogue with the employee requesting the use of a lactation room. a statement that the request for a lactation room poses an undue hardship on the employer, the employer shall engage in a cooperative dialogue, as required by the New York City Human Rights Law. A model lactation room accommodation policy and model employee accommodation request form will be made available on the New York City Human Rights Commission website. With the deadline for compliance swiftly approaching, New York City employers should take stock of current accommodation policies that may be revised to include lactation accommodations, as well as assess physical locations in the workplace that may serve as compliant lactation rooms. Employers should consult legal counsel if they do not have an accommodation policy or are unsure of how to amend a current policy to include lactation accommodations. New York City employers should also be mindful that any request for a lactation accommodation may trigger the duty to engage in a cooperative dialogue with an employee in order to accommodate the requested lactation accommodation.